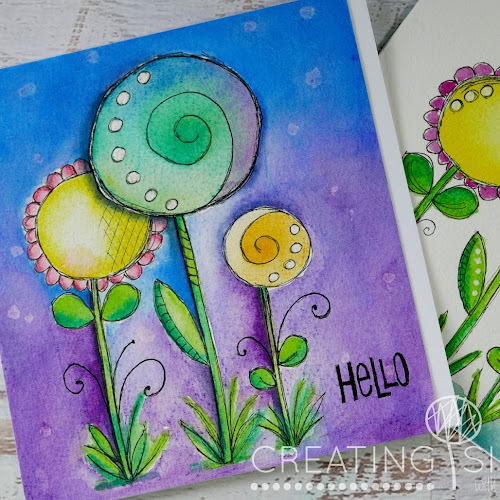 Today I thought I'd share one of the images I've coloured recently as well as a quick CAS card for a challenge. My first card had me pulling out my Prismacolor pencils which have been gathering dust for at least a year, but are well and truly on my revival list. 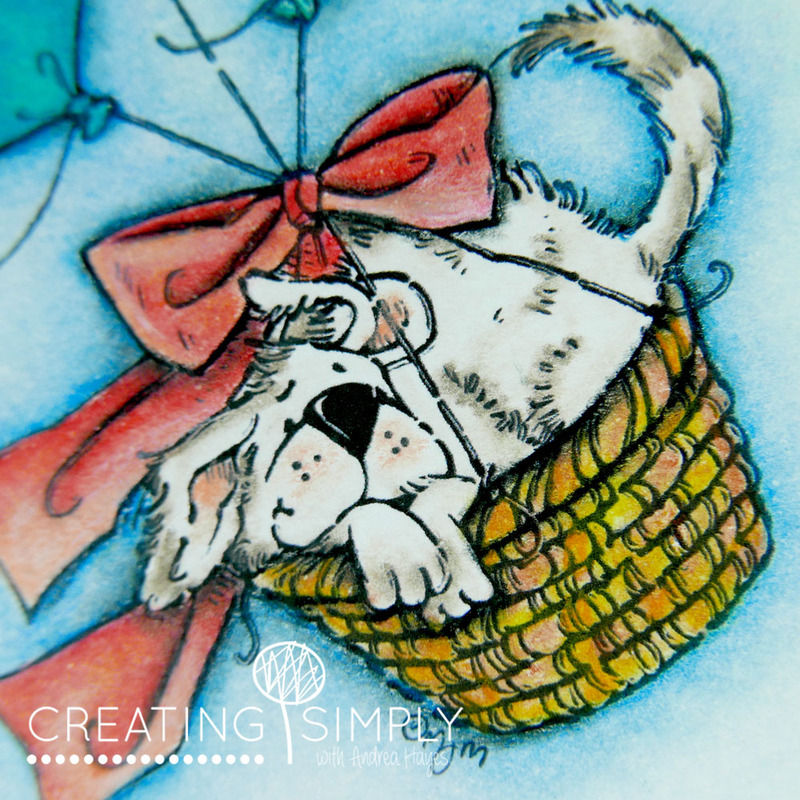 I bought this gorgeous image from Mo's Digital Pencil just the other day called Airborne and printed it on to a pencil friendly card stock and included a sentiment to save me adding it later (I can rarely get it straight if I stamp it after the fact). 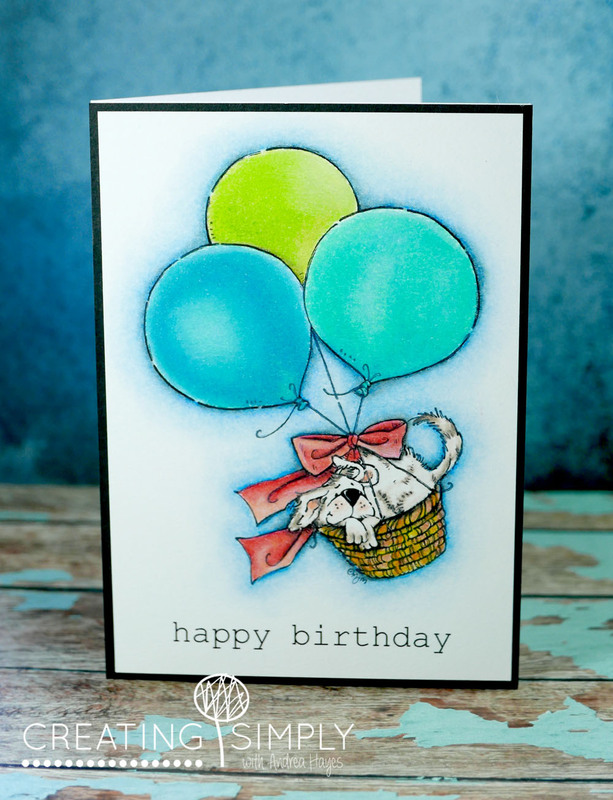 My colouring is a little rusty, but I have to admit I had a fabulous time practising! 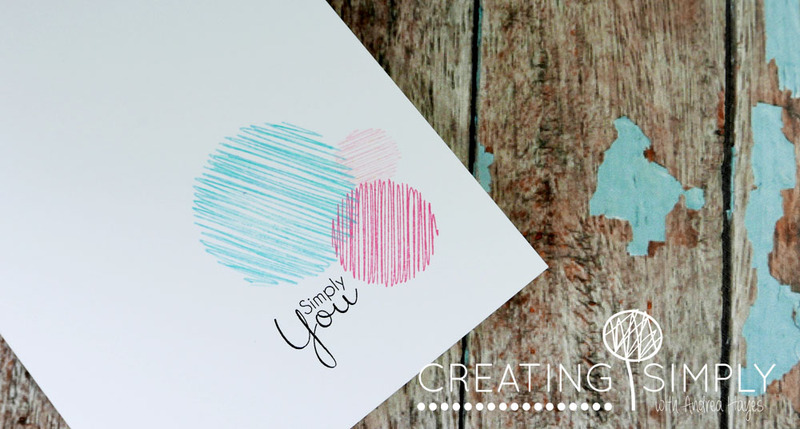 I used Zest-It to blend, and because I used so many colours I put them away and so don't have a list this time round. 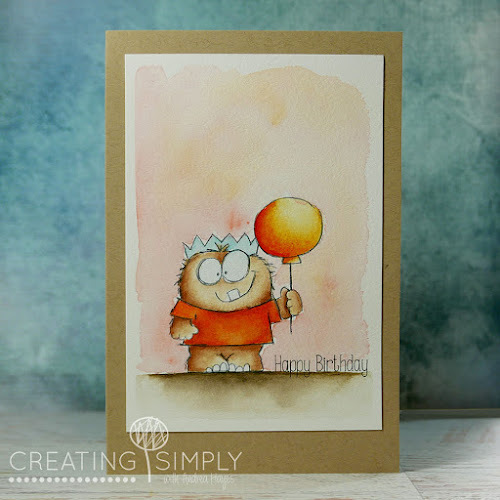 The balloon colours were for the colour challenge on Splitcoast CC563. 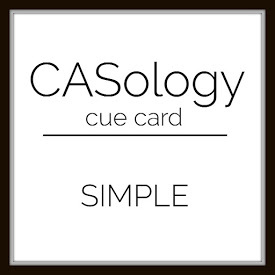 Next is a very quick card for the CASology challenge - Simple! 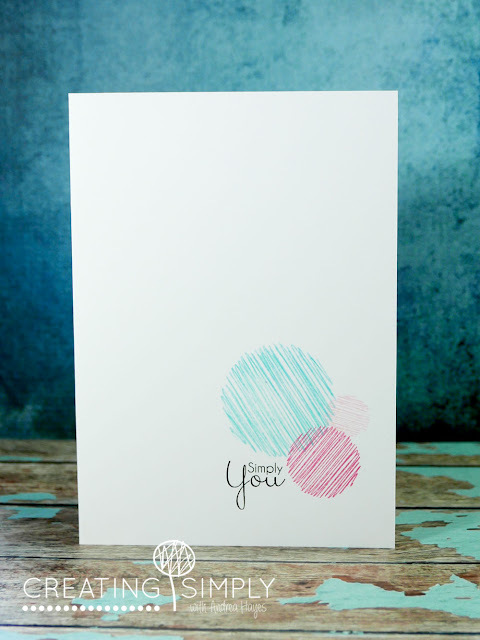 I used stamps from my Scribble Scrabble Circle set and Distress Inks, but printed my sentiment to suit the challenge but also to give to my husband, either for Valentines or wedding anniversary. Thanks for stopping by and I hope your New Year was fabulous!